Art books are arguably my favorite item of anime merchandise (of which, I own 18). 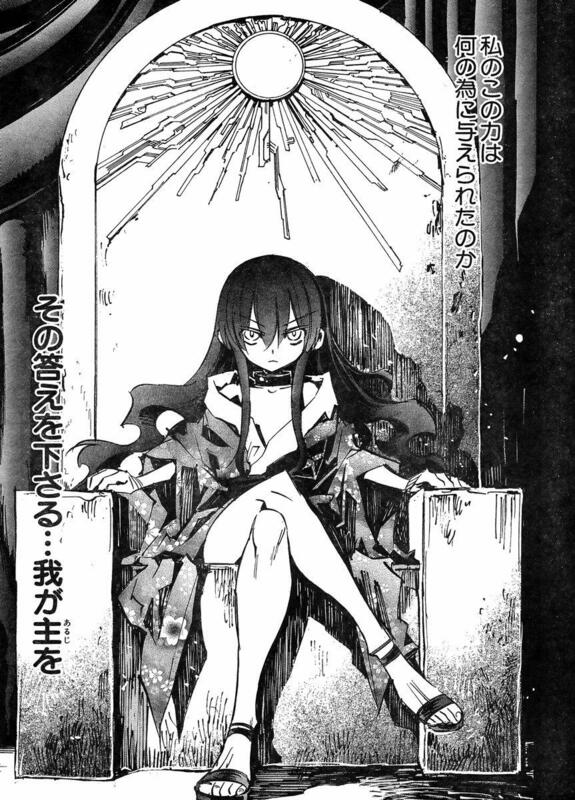 And Imai Kami is undoubtedly my favorite manga artist. So when the Imai Kami Visual Collection, Nirai Kanai, was announced to be sold in June 2014, I was positively ecstatic. For the first time, there would be a printed compilation of his various works from both Needless and Shirasunamura, as well as other works in magazines and online sources. However, there was a major bonus to this art book that made it even more unique and exceptional among its peers. 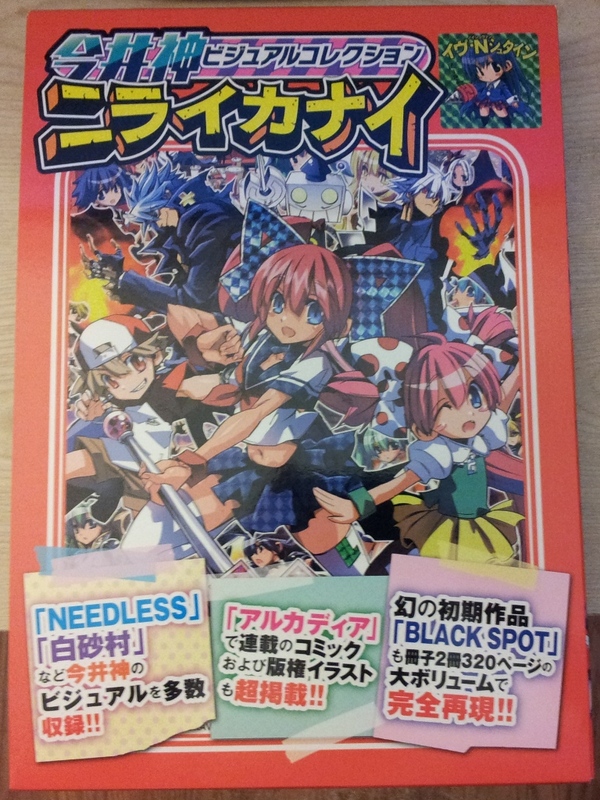 Since its completion as a doujinshi in 1999, Imai Kami’s first printed work, the 330 page BLACK SPOT, was being reprinted and bundled with the art book. After 15 years, the work that originated Imai Kami’s career and was the foundation and basis for my favorite manga, Needless, was finally available to the public. Without a doubt, the Imai Kami Visual Collection is the best thing to happen to me in 2014. 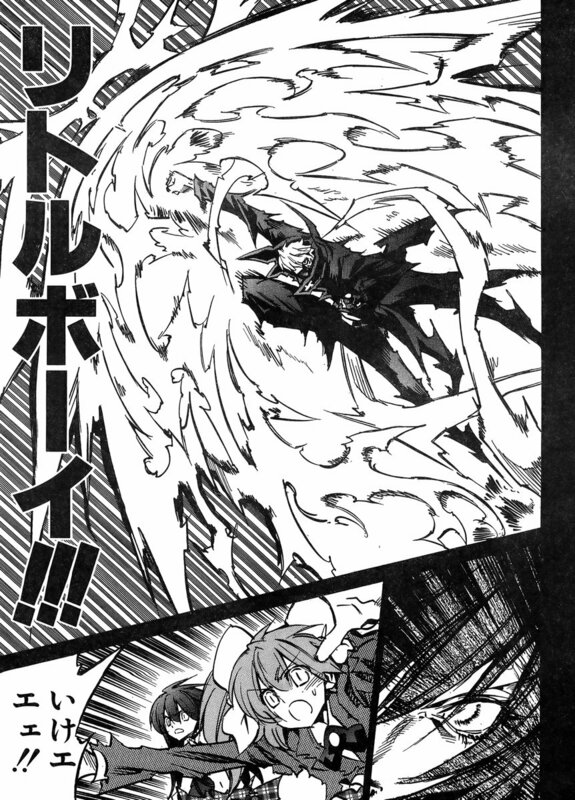 On May 19, 2013, the June issue of Ultra Jump debuted as any normal issue of a mangazine would. 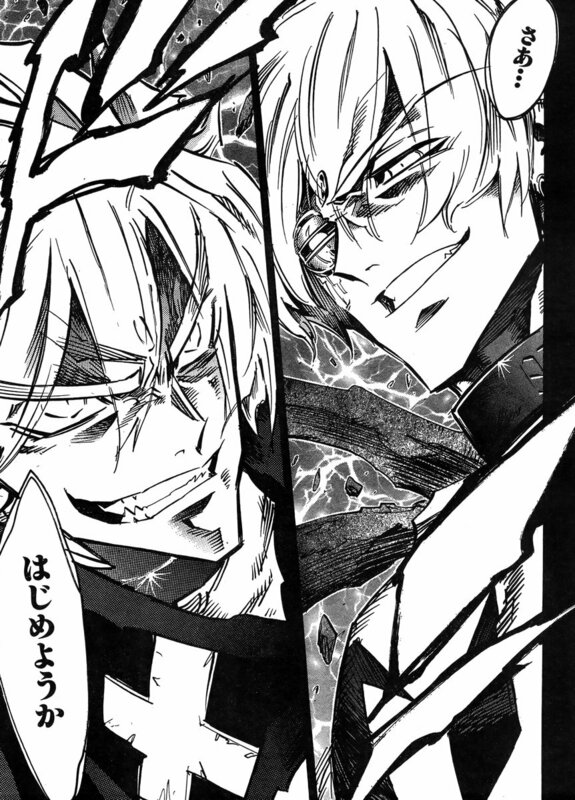 However, this particular issue was noticeably different with an announcement following the 113rd chapter of Needless stating that next month’s chapter would be the final one. Without any preparation or any proper warning, the sudden and abrupt ending was only a month away. The announcement began to explain the accelerated pace of the last few chapters and the conclusions of many loose ends, but with so much more remaining and the peculiar developments of late, especially some of the absolutely shocking events in 113, you wondered just how the manga could end with an unfortunate amount of unanswered questions. 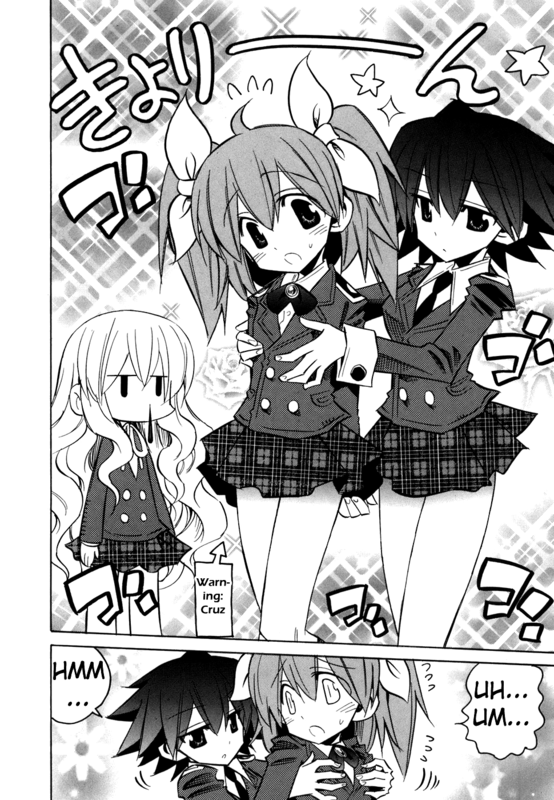 But one month later, Needless 114 debuted and so ended the serialization of my favorite manga. 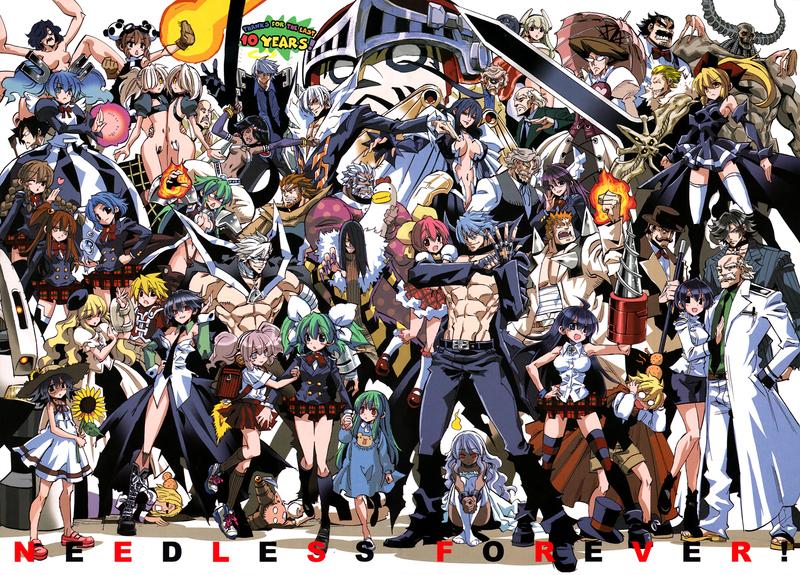 And so, with this final chapter, the first half of Needless comes to a close. As with any finale, Needless 114 is and will be met with a variety of emotions and reactions among its fans, especially since the manga is ending quite abruptly after 10 years of serialization. For some, the response might be simple and straightforward, but for many, it will be complicated and conflicting, particularly for those still asking those unanswered questions or wanting just the slightest bit more. For me, being in the latter group, the Needless finale does leave me with mixed emotions. On one hand, the developments in these final chapters answered numerous questions, connected many loose story points together, gave the series a conclusion that truly unified the manga, its concepts and its story, and presented it in a way that’s ready to launch Needless into its continuation, Needless 2. On the other hand, there’s just that lingering sensation of feeling unsatisfied with this culmination, that these final chapters were rushed and that the manga didn’t end the way that it wanted. Or that it deserved. Earlier this year, the 100th chapter of Needless debuted, a remarkable milestone for any manga, especially for one that is published monthly. Not only did the chapter serve as a landmark for the manga itself, but it corresponded with the crowning achievement of the series protagonist, Cruz Schild, commonly known as Yamada. As Needless has progressed through these past nine years, the story has evolved into one that emphasizes the growth and maturity of its central, most-dynamic character. It has literally become the story of a boy becoming a man (while dressed as a girl), and the events and adventures over the entire manga easily demonstrate the greatest exhibition of character development that I have ever witnessed in my limited history of anime/manga and is a viable candidate for the greatest of all-time. Needless is innovative and creative, especially in its storytelling. Throughout the manga, there have been countless examples of where character development or story progression have been told or shown in a way that directly generates interest, creates suspense and surprise or is just unanticipated fun and amusement (for example: Kuchinashi). And of all the methods utilized, the most innovative might be how Needless has unveiled its past. Rather than relying solely on flashbacks or lengthy exposition, Needless has decided to show us its past through a variety of diverse means and styles. And rather than reveal everything about the past together, it’s been fragmented into various segments, allowing the manga to answer the immediate concerns while raising other questions to create further intrigue and mystery. And with another new style presented in this chapter, it’s time we recognize a few of the brilliant storytelling techniques employed in Needless. Fight are fought and won with Fragments. The stronger Fragment, the most likely you are to win your battles. But Fragments alone aren’t necessarily the only factor, nor even the central factor, when resolving conflicts in Needless. It is how these Fragments are used, through intelligence or innovation, which ultimately decides the victor and the defeated. So, is it possible to win against a Needless with not only one of the strongest fragments but also one of the greater intellects, too? You are currently browsing the archives for the Needless category.